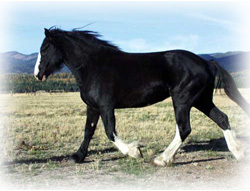 Lager is a black blagdon Drum Horse colt born May 19, 2004. 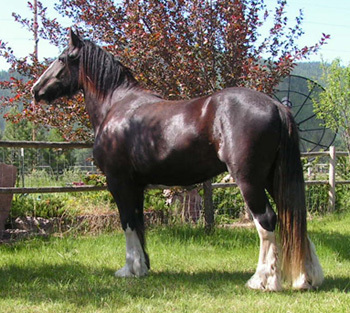 His sire is the amazing 2005 GVHS Supreme Grand Champion Vanner stallion Sliante owned by Old Mill Farms, and his dam is our black Clydesdale mare Belle. Sliante means "cheers" in Gaelic, so we thought it appropriate that his son be named Lager after the fine ales of Ireland. Lager is being offered for sale by his current owner. She has found that with her young children she doesn't have time to work with him as consistently as she would like. 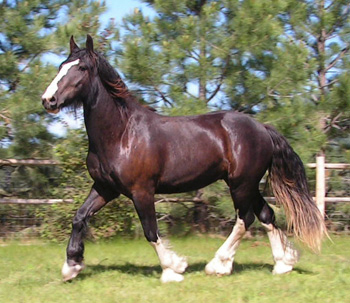 He has had natural horsemanship groundwork and is beginning long-lining and saddle training this month. 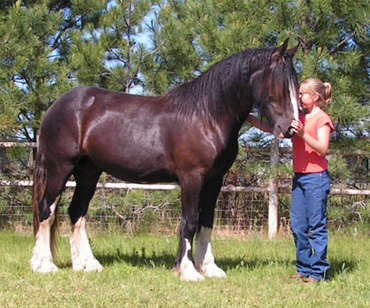 He has had all the best care and handling and is ready to begin his show or pleasure career. 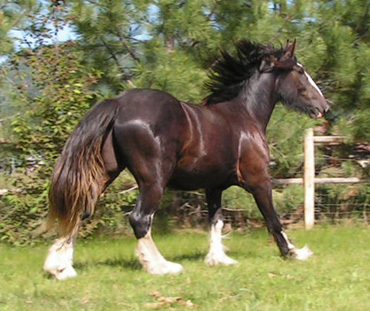 If you are interested in this great young Drum Horse please contact his owner at kittopaz@yahoo.com. 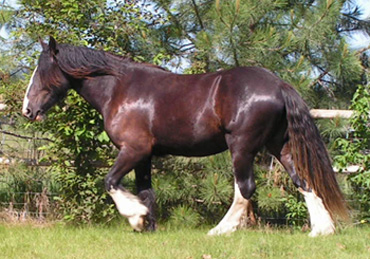 Lager is black with 3 1/2 white feet, an attractive white blaze and several small spots of white on his belly. 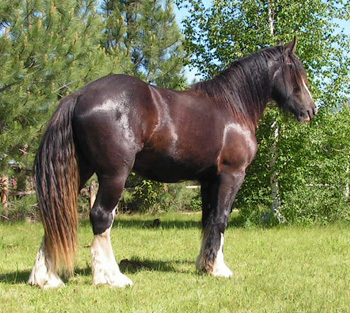 He is a thick muscular colt with very powerful movement. Lager inherited his mother's long stride and his father's impressive muscle. 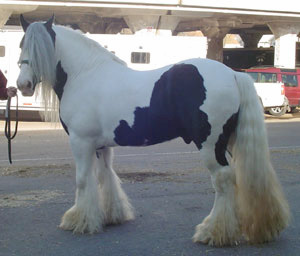 He would make an excellent riding or driving gelding. Lager has an inquisitive nature and is always looking for something to get into. He is very intuitive and he "reads" people well. He wants to be your best friend.